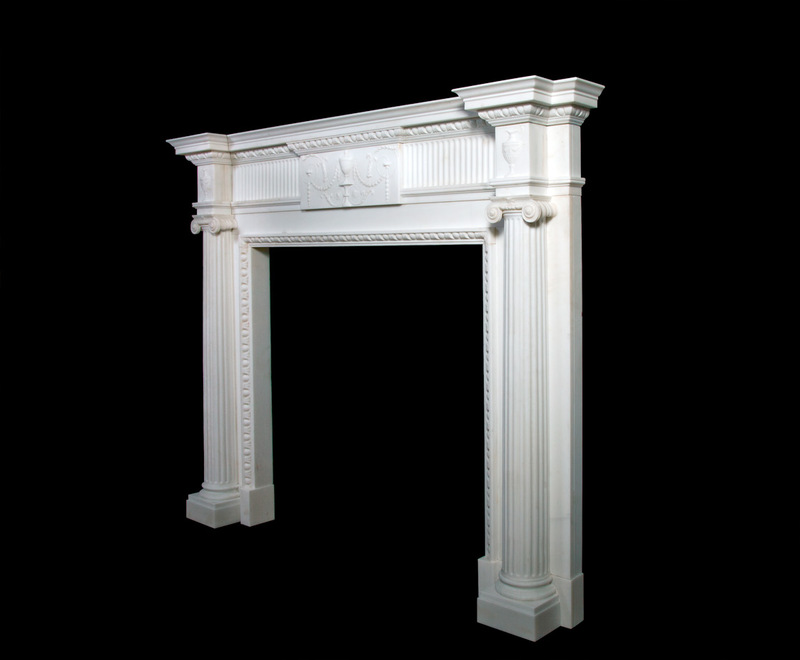 The jambs having three-quarter fluted columns with ionic capitals, the cornice and in-grounds carved with egg and dart moulding. 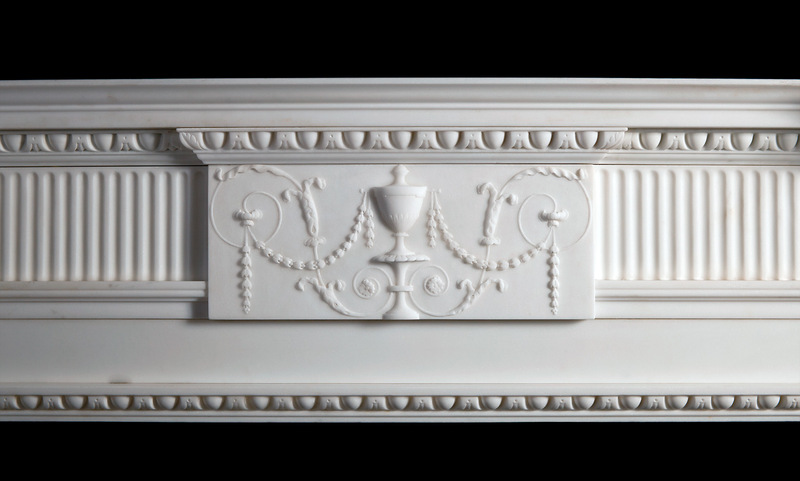 The finely carved plaques features urns and swags of bell-flowers. 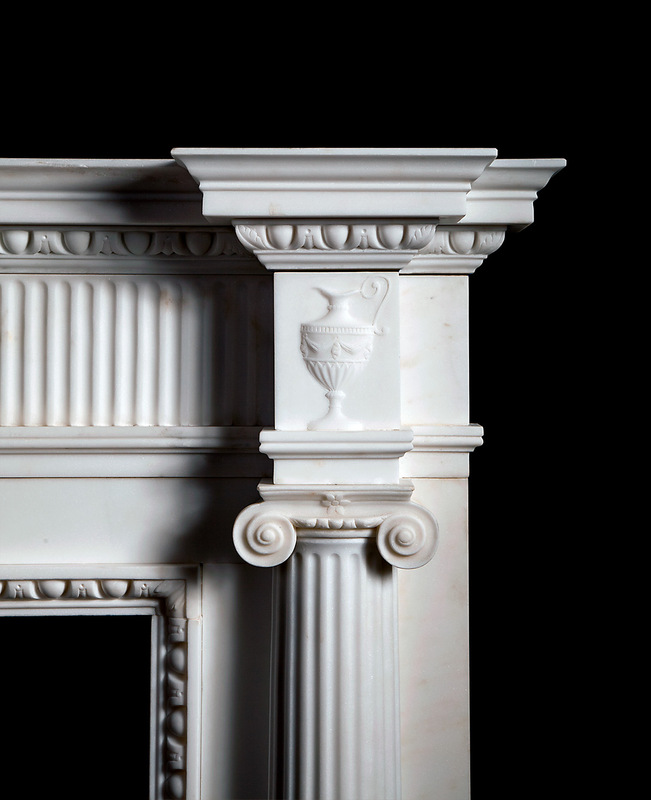 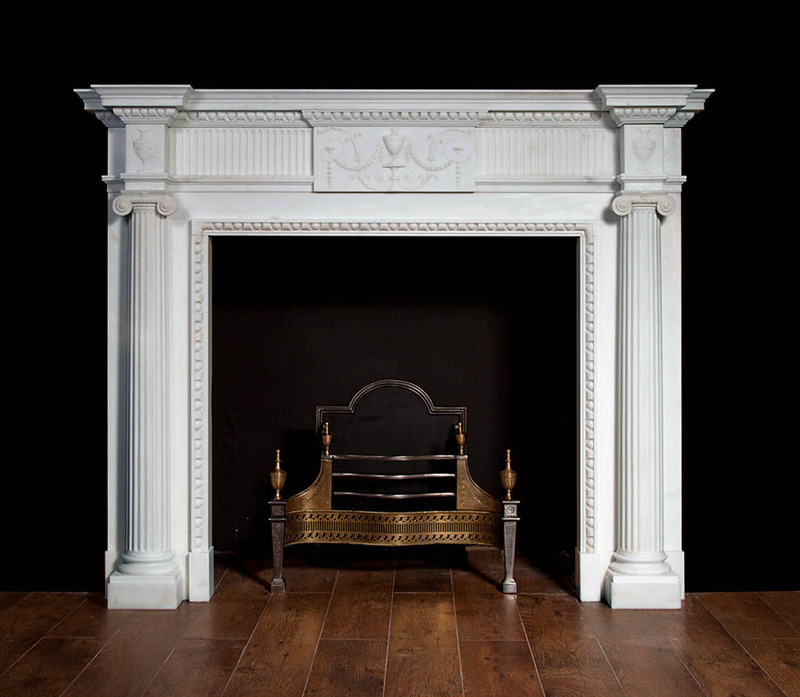 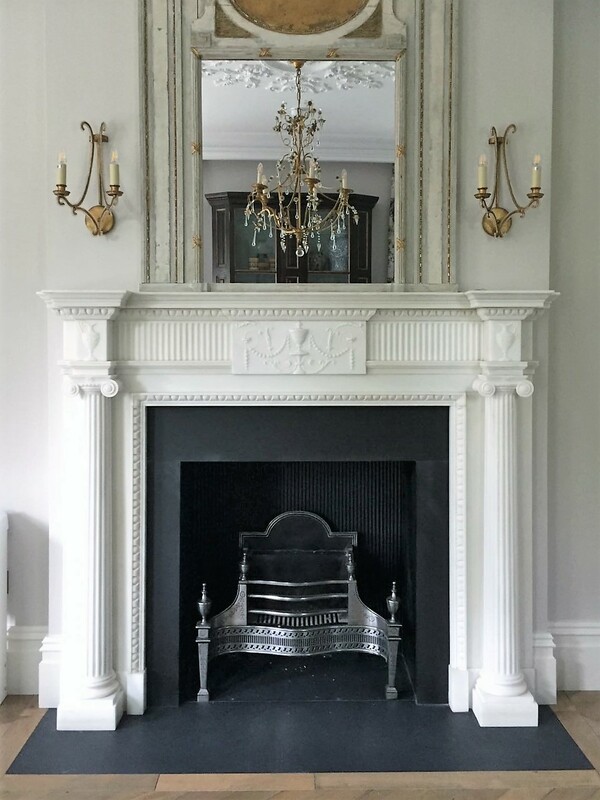 This style of fireplace was the height of fashion in Georgian England and Ireland.